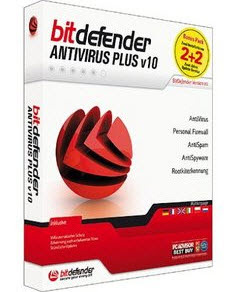 I have published a post regarding free Bitdefender Internet security 2008 for 90 days few days ago,now we can get Bitdefender Antivirus /Antivirus Plus /Internet Security V10 free for 90 days. 1.Go to Bitdefender website and your name,email address and choose a Bitdefender security program that you preferred ,then click ‘submit’ . 2.You will receive a reply email that have a Bitdefender product key inside. 4.During installation,you will be asking to enter in the valid product key for Bitdefender product.After that you can use it for 90 days. Be careful with V10 if you have Vista. I had to switch from V10 to 2008 as per BitDefender’s advice. Thanks for your concern.I have mentioned in the post these Bitdefender V10 software not supports Window Vista.